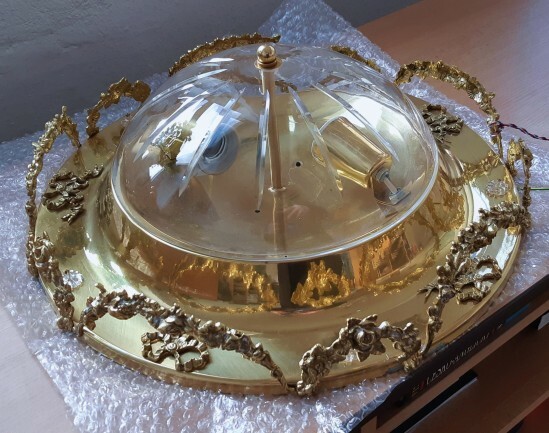 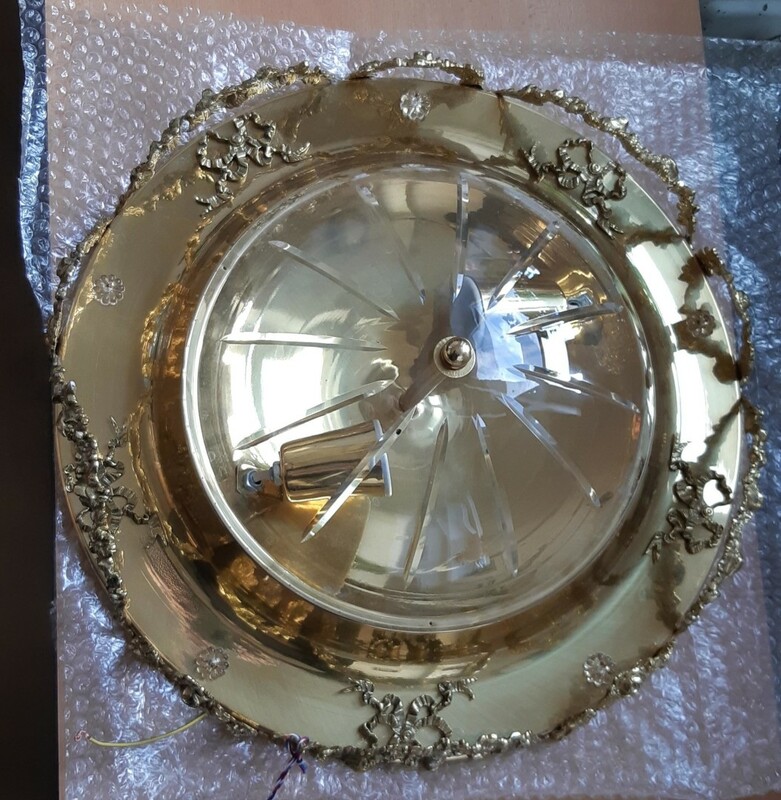 Original gold ceiling lamp made of polished brass with glass rosettes, complete with decorative brass garlands (flowers). The surface light cover is made of solid hand blown and cut glass. 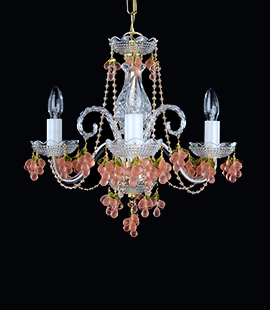 Overall width: 45 cm / 18.4 "
Width of the glass cover: 30 cm / 12.2 "
Total height including the glass cover: 18 cm / 7.3 "
* Garland (Italian) - is a decorative curtain arranged from flowers ..